Conversations in the General Assembly about changing Virginia liquor laws may be long overdue, but local restaurant owners fear the legislature still doesn’t adequately understand the issue. With low ceilings and dim, colorful lighting, Lady N’awlins’ main dining area was like a cozy corridor. 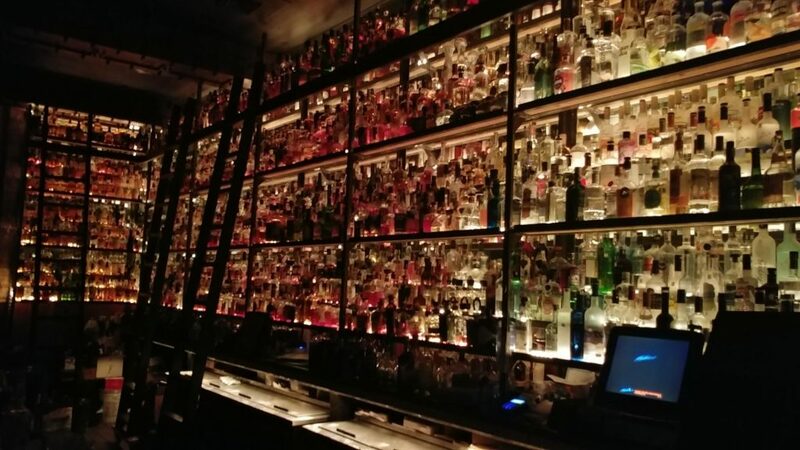 Glasses hung in rows above the bar, and a healthy sprawl of customers engaged in conversations or watched college basketball on the flatscreen. Towards the back, heaters blew hot in anticipation of the cold front. Jake Crocker co-owns Lady N’awlins, and owns or is heavily involved in a handful of other spots in the city, including F.W. Sullivan’s across the street. As he spoke, something jazzy played in the background, mixing with the sounds of drafts being poured, glasses clinking, people drinking. “It’s a goldmine,” he said. But not always for his wallet. Crocker was referencing Virginia’s alcoholic beverage legislation, which are largely a remnant of prohibition-era ideals. Sure, up and down West Main, throughout the Fan, the Bottom and the Slip, anybody can find a barstool for the night. But on paper, there isn’t a single bar in Richmond or anywhere else in the Commonwealth. In the traditional sense, they don’t exist. By an easy margin, Virginians voted in a 1933 special election to ratify the 21st amendment to end national prohibition in the United States. On the same ballot, by an even wider margin, citizens voted to establish a “liquor control” plan. Months later in March 1934, that plan came to fruition in the form of the Alcoholic Beverage Control, often shortened to the handy acronym: ABC. ABC’s most obvious duty is to distribute alcohol. As any drinking-age Virginian knows, whether it’s a bottle of Ciroc or Chivas Regal, Jack, Jim, or the Captain, you always have to head down the street to one of ABC’s 372 statewide locations. This also means every spirit-serving establishment — from your Ipanemas and Sticky Rices to your Applebee’s and Chili’s — are buying from the same vendor, with no bulk benefits. “We as their largest customers don’t get a wholesale discount, like we do with every other product we buy,” Crocker said. He also expressed concern over the taxes associated with the transaction — taxed at purchase and resale with a meals tax on top. Having launched a Libertarian campaign for House of Delegates in 2016, Crocker has been actively trying to change some of the legislation he finds frustrating. 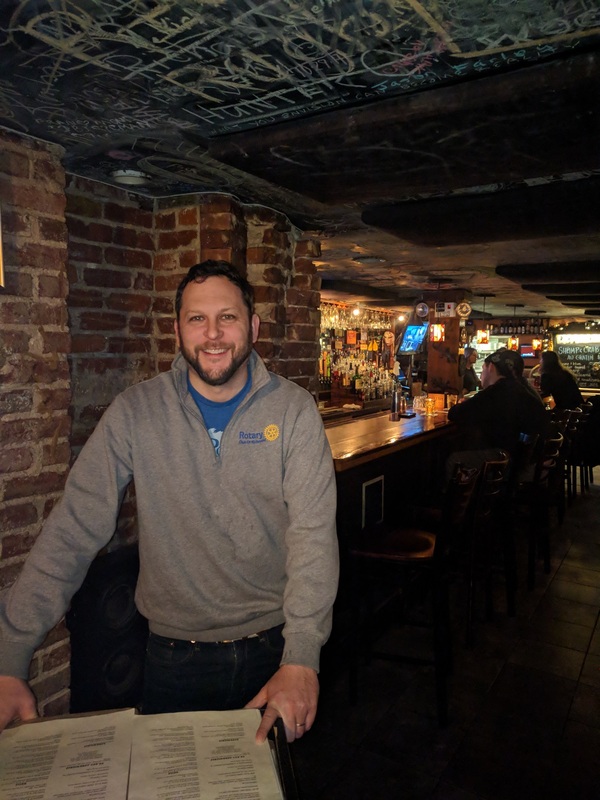 He testified before a Virginia Senate committee with other local business owners, including his friend Mac McCormack, owner and namesake of McCormack’s Irish Pub and McCormack’s Big Whiskey Grill. And it’s these percentages that eliminate true bars in the Commonwealth. ABC doesn’t just distribute all of the state’s liquor, it also has an enforcement wing making sure alcohol-related legislation from the General Assembly is followed through. “A state-run monopoly,” as Crocker defines it. The agency’s biggest concern is the food-to-beverage ratio, which requires that 45 percent of a restaurant’s earnings must come from food and nonalcoholic beverage sales if the restaurant is licensed to sell liquor. Therefore, establishments must put an almost-equal amount of attention towards food as they do alcohol, and a business can lose their liquor license if they repeatedly miss the ratio’s mark. If a group at a restaurant orders $50 in booze, but skips ordering food, the restaurant needs to find $22.20 in food sales to match. If the place has “a healthy nightlife,” as Crocker calls it, and this hypothetical example is a typical customer pattern on a regular basis, the burden can add up quickly. Mac McCormack has operated McCormack’s Irish Pub, tucked neatly into the repurposed industrial landscape of Shockoe Slip, for the past 22 years. But after a decade, he wanted to branch out past the pints of Guinness and into a fine dining experience. This led him to open McCormack’s Whiskey Grill, which features not only gourmet food “cooked from scratch,” but 2,200 types of liquor, stacked behind an old-fashioned sliding ladder. Some of the rarer liquors McCormack stocks at the Whiskey Grill are quite pricey, and their availability is a big selling point for the establishment. The Grill attracts people from all over to purchase $100, $360, or even, in the case two Dubai businessmen, $1,000 shots of whiskey. But even though he was doing “almost 18 times more food” sales than he does at the pub, McCormack’s Whiskey Grill soon began getting ratio violations. “This is their words,” he said. “‘Fail to qualify as a restaurant.’” It’s obvious math — just a handful of high-end shots can uproot the entire system, even when an establishment has a specific focus on quality eats. They have literally created a situation where restaurants have to intentionally lower their margins on specific products to try to meet a ratio,” McCormack said. “That’s not the way capitalism is supposed to work. But it wasn’t just the price point of what he was selling, it was the physical object as well. Under a mixed beverage operating license, beer and wine don’t count towards anything. They don’t count for liquor sales and they don’t count toward food sales, they just hang in no man’s land. This creates a strange situation, in which a handful of friends out for a beer cause no issue, regardless of whether or not they eat. But change their drink of choice to a rum and coke, vodka tonic, or a shot of whiskey, and suddenly the establishment needs to micromanage food sales or end up in hot water. This notion stems from an idea that liquor gets you drunker than a glass of wine or pint of lager, making the business more bar-like — an outdated concept according to McCormack. It might seem that Crocker and McCormack would be proponents of full anarchy, of dismantling liquor regulations with a fell swoop — but they aren’t. Both men keep in touch with local legislators in an attempt to bring the business owner’s perspective to the limelight, and aren’t afraid to propose their own solutions. They lobbied last year for a ratio decrease to 25 percent, and today Crocker pins his sweet spot at 30 percent, to keep the status quo without overburdening businesses. McCormack is a proponent of different types of liquor licenses than are available now. 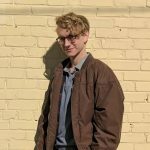 He wants to acknowledge that businesses fall into more categories than currently exist, and to let specific neighborhoods vote on what licenses they would allow in their area. Right now, a whole string of bills before state Senate and House committees prove that lawmakers are listening, and ready to make a change. SB1726, which passed in the Senate last week, would allow establishments to advertise their happy hour prices. HB2624, which passed committee Thursday, would no longer designate counties dry by default. And, while it was killed in committee Friday, one in particular is noteworthy for the conversation: SB1683 would have eliminated the food-to-liquor ratio for businesses making more than $500,000 in food and nonalcoholic beverage sales. Crocker and McCormack both acknowledge this as a start, but a misguided one. With the capacity of 67 people, he doesn’t have the same abilities as larger establishments. Why should the small restaurants be playing by the same sales rules as the big restaurants? Sen. Bill DeSteph chairs the Alcoholic Beverage Control Subcommittee, where much of this legislation begins. “I don’t necessarily think that’s a doable number, especially if you’re in a small town,” he told the Virginia Mercury in an article analyzing the bill. He also said that the bill’s $500,000 amount was agreed upon between some Richmond area restaurant owners and Division of Legislative Services attorneys, according to the Virginia Mercury. RVA Mag reached out by phone and email to SB1683 patron Sen. John Cosgrove for comment, and by email to multiple members of the Division of Legislative Services, but received no response. Ultimately, Crocker expressed worry that with such a short amount of time, and so many bills to push through, legislators don’t always have the time to understand what they’re voting for. Back among the brick-accented walls, dark-stained wooden countertops, and piles of menus, life goes on for the city’s restaurants. But with a new General Assembly in session until February, there’s always hope for change. Benjamin West has lived in Richmond for about half a decade. He loves long walks on North Bank trail and adding to his collection of mid-grade pens. His New Year's resolution was to choose campy, sci-fi paperback illustrations for all of his Spotify playlists, but he's already tripped up a few times.